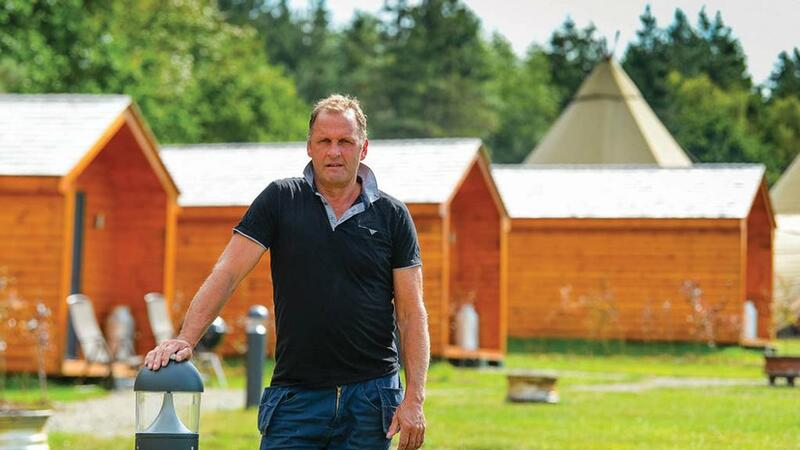 With picturesque views and literary links to his land, one farmer is seeking to make strides in a lucrative market with his glamping pods and wedding and events business. Weddings have become increasingly big business and the industry is now worth in excess of £10 billion a year in the UK alone. The biggest cost of any wedding day goes on the venue and accommodation, and that is precisely what prompted one farmer to convert a picturesque corner of his farm in to a premium glamping venue capable of hosting a number of events. Hobbit Hill is the brainchild of Lancashire farmer John Wilkinson whose diversification is borne out of Foxfields Farm. Exploiting the area’s links to novels such as The Hobbit and The Lord of the Rings trilogy, both written by J.R.R. Tolkien, Mr Wilkinson’s new venture opened in April of this year and has already attracted a host of bookings, with everything from birthdays to anniversaries taking place in the secluded spot of Hurst Green. 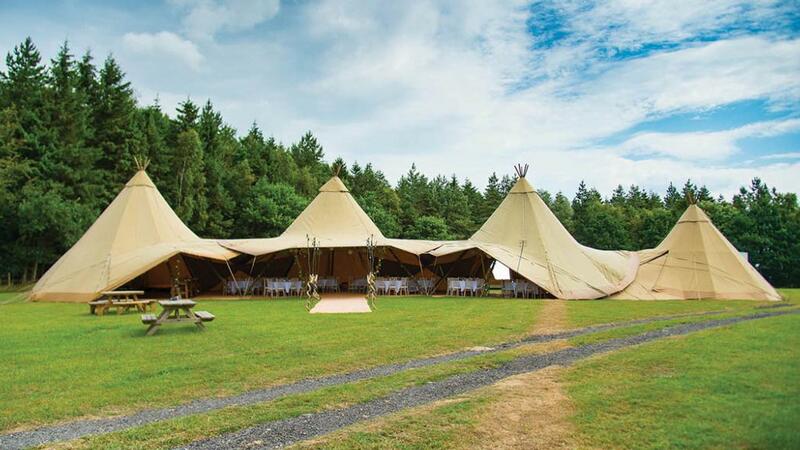 But it is weddings that are the big focus for the new enterprise, with the site able to accommodate everything from standard marquees to more opulent tepee-style constructions. He is able to offer a range of price points for would-be brides and grooms and is also in talks with the local council to build a permanent structure on the site, which would allow a lower price point to be offered and draw-in more potential customers. Who fancies an all-expenses paid wedding at the 100th Royal Welsh Show? With heavily populated areas such as Preston, Blackburn, Burnley, Accrington, Clitheroe, Leyland, Chorley and Bolton all within a 20-mile radius, he believes Hobbit Hill is ideally placed to cater for an urban audience yearning for the rural dream. He says: “This summer we had a wedding party from Burnley and they were telling me they had found their ‘heaven [on earth]’. "I said to them they were only from 10 miles over the hill and it could not make that much difference, but to them it did. The Ribble Valley area has that image.” And it is easy to see why. 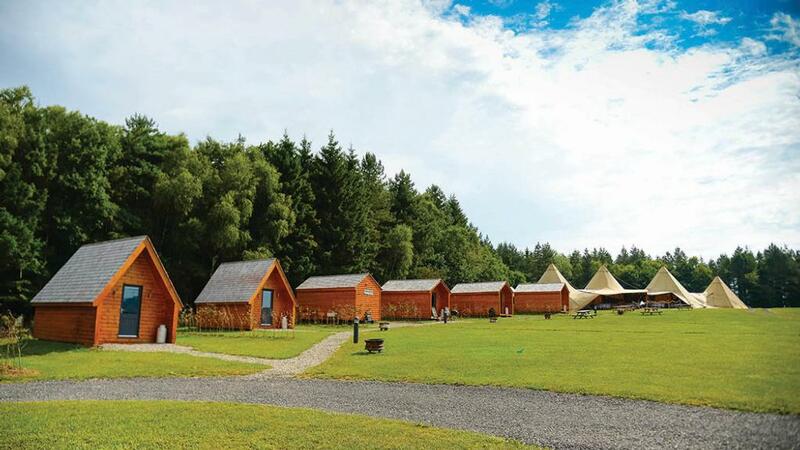 From the hill upon which the five glamping pods are situated, there are panoramic views of the wider valley as the fields slope away across Foxfields Farm and down to the River Ribble. It is an idyllic scene and one which is hugely popular with visitors to the area. As the river meanders its way through the valley floor, alongside it runs the Tolkien Trail, a well-utilised walking route starts in the village of Hurst Green and winds its way around the local area and through the manicured grounds of the imposing Stonyhurst College – one of the country’s foremost Jesuit boarding schools. The village’s links to Tolkien were formed after the author spent time visiting his son, John, who was studying at the college, and local folklore suggests that he found much of his inspiration for The Lord of the Rings during his time there. Set in the heart of the Ribble Valley, the countryside surrounding the college is framed by the imposing mass of Pendle Hill which forms a permanent backdrop to the area. It is this connection to Tolkien which led Mr Wilkinson to name his new venture Hobbit Hill, and he claims he even has plans to create some subterranean pods built in to the hillside. 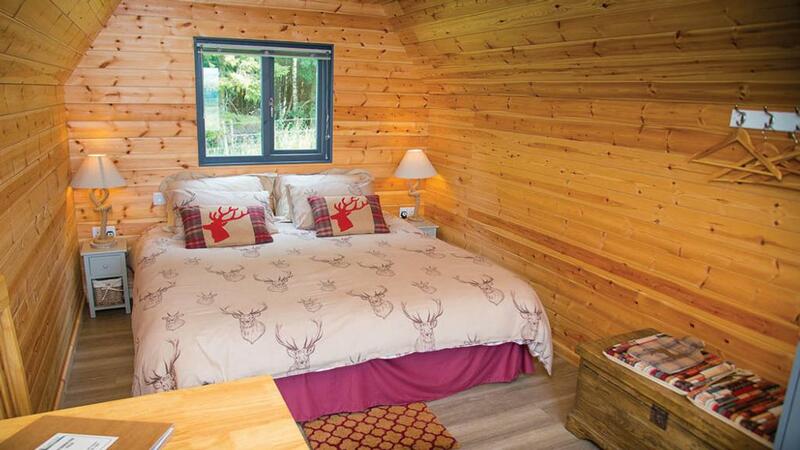 For the time being, however, he has five glamping pods which can be hired out at any time. Built by his son Andrew and son in law Martin Proctor, two of the pods provide double occupancy, while the other three can sleep four in two sets of bunkbeds. He has worked hard to ensure the pods are done to a high specification, with the bases and outer walls having proper insulation and being robust enough to withstand the elements in an area known for its high rainfall. But what possessed a farmer from a traditional agricultural family to diversify? Mr Wilkinson is the third generation to farm at Foxfields, following on from his father and grandfather, and the farm was home to a 250-head dairy herd until 2005, when he sold it off. With commercial sheep currently on the farm, he has remained involved in the day to day practicalities of farming, but says he was always looking for new opportunities. The former cattle sheds on the farm have long since been converted in to industrial units for local businesses, and the pods have been up and running since April of this year. 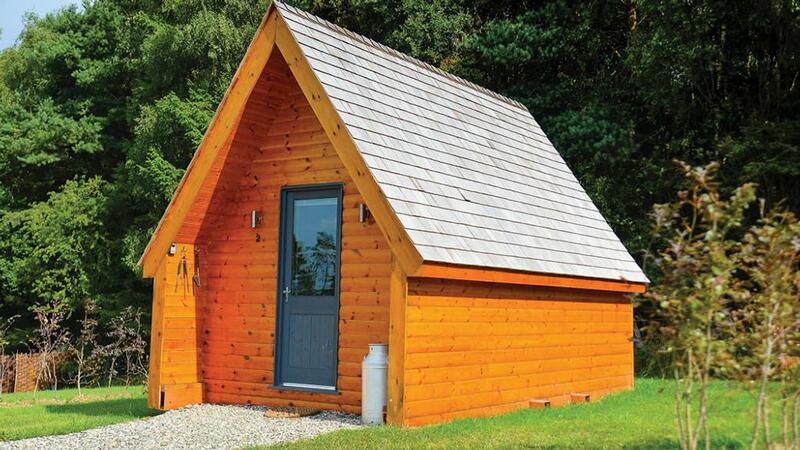 “I had heard about people looking at glamping pods and thought they were something I could do,” he says. “I just wanted to diversify further and ensure that as I got older I always had an income stream coming in. “I believe you have to keep diversifying and looking for new commercial opportunities. A lot of farmers are blinkered and do not want to look at the options, while for others farming is simply a way of life that makes them happy. But for me I was always looking for something different to do. It is two years since Mr Wilkinson bought Foxfields from his former landlord, Stonyhurst College, which at the time was shifting a number of farms off its books. Free of the tenanted shackles, he had the confidence to get his diversification started and, so far, is positive it is proving to be a hit, he says. He admits getting the business’ digital footprint to the right level has been a learning curve, with the need for a website that can operate properly on mobile phone and desktop computers something he is currently tackling to ensure it has the right image. Yet he is clear that weddings and larger events must be the focus for the business going forward. “More weddings and events has to be the target,” he says. “People have got sick of going to big venues and paying over the odds for their wedding day, and that is where places such as Hobbit Hill can come in. “The Ribble Valley is also an increasingly big draw for tourists and day trippers and that is something we are capitalising on. Farms are often in the most brilliant locations, but farmers are not always keen to take that step. Like Bilbo Baggins in The Hobbit, it appears Mr Wilkinson is now very much on an exciting journey of his very own.